At the end of September the Federal Reserve kept its benchmark interest rate unchanged. An interest rate increase is expected by the end of 2017, with the Fed planning to buy back bonds that it issued during the Great Recession. Is your property financed with an adjustable rate mortgage? If so, the Fed’s interest rate increase that is likely to happen before the end of 2017 will likely increase your monthly mortgage bill. Let’s assume you have your $3,000,000 property financed with a loan for 75% of its value, a 20 year amortization schedule, and a current interest of 5%. If your interest rate increases to 5.5%, then your mortgage bill will increase by $7,542 annually. Your property can probably absorb that additional expense, but it might make you start evaluating the timing of your investment strategy, particularly with three more 0.25% increases planned for 2018. The anticipated date for the Fed to increase rates again is their last meeting of 2017 on December 13th. 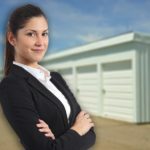 Now may be the best time to sell your self storage investment. In the same way that rising interest rates affect your return on investment in your property, they also impact a potential buyer’s return. Therefore, rising interest rates significantly lower what buyers are able to pay for your property. In order to avoid future increases in your expenses, and sell before your property’s value decreases, call us for a free, confidential valuation before rates increase on December 13th. As we leave autumn and enter winter, it’s important to review your property operations and investment strategy. The last three years of heat in the market, generated by excited investors and low interest rates, is starting to cool off. We are currently experiencing an extended summer, but market cold shocks are coming soon. Are you ready? Our advisors are happy to help you achieve your investing goals. If you would like a free, confidential valuation of your self storage property, contact us today.